The Star Wars universe is so filled with aliens that learning about a new one isn’t always a big deal. 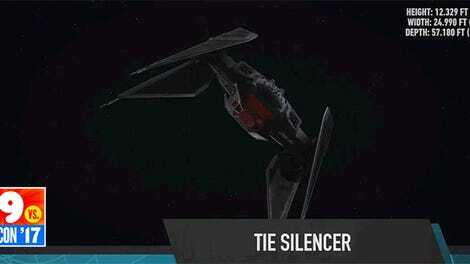 But a new species from The Last Jedi was just revealed and we have a feeling there’s something special about them. Entertainment Weekly revealed that a new race of aliens referred to as the Caretakers will join Luke Skywalker (and the Porgs) as residents of Ahch-To. That’s them above. The director also revealed that, unlike the Porgs, the Caretakers speak, and are not exactly happy that Luke Skywalker has been living on their island. They tolerate him, though. As a Star Wars fan, all of that information feels like pieces to a puzzle and these pieces seem to add up to something. We know that the Force isn’t just something that’s used by the Jedi. It’s also not only an all-encompassing energy field. For many species in the galaxy, it’s also used as the basis for a religion. We saw that on Jedah in Rogue One with the Guardians of the Whills, and it’s peppered through a lot of the new canon material. 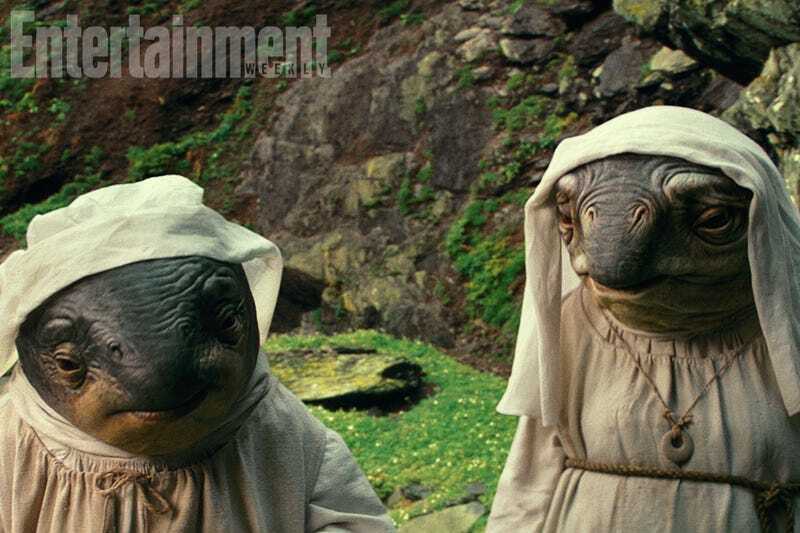 The fact the first Jedi Temple has caretakers (who are called Caretakers), they were inspired by nuns, and don’t like having Luke on Ahch-To, strongly suggests they’re a race with a deep connection to the Force. That’s pretty easy to figure out. What’s less easy to discern is why, or if, this is important. Maybe the Jedi left them on the island for a purpose. Maybe they moved to the island to feel closer to the Force. To be frank, we have no idea what, exactly, their role is. It could just as well be a high-end cleaning service. But for Luke Skywalker to chose Ahch-To to live on after everything that happened to him, and for the Caretakers to be a crucial part of that place’s existence, it seems like they may have some important role to play in either The Last Jedi or other Star Wars works to come.